Online education has found its place in the lives of working professionals, and students in higher education. These categories of online learners find immense benefit in the autonomy, and flexibility, that these courses offer. Online courses can be planned into their schedule, which may include full-time employment, internships and caring for family. It can also help them take out quiet time to study. As students progress to higher classes, they seek more autonomy and intellectual freedom. Online learning can help them pursue highly individualised learning programmes, possibly even college level courses. These, combined with hands-on exercises, real world exploration, and thorough assessments, can be highly beneficial to their learning progress. They can explore their options, by trying out introductory topics from different fields, before committing to a specialization. Online learning platforms can help these students become more independent learners, before they make their way into college. I believe that we must not hold students back from picking any online course, but instead act as their guide as they navigate through it. Bangalore: Nikaya Polsani, student of Trio World Academy emerged as city topper in IGCSE examinations conducted in 2015. She has scored the highest marks in Sociology in Bangalore in the IGCSE examination ranking. Nikaya speaks of her time at Trio World Academy as a memorable experience. “The environment was nurturing and friendly, my teachers were extremely knowledgeable in their subject and always supported us to pursue our passion”, she adds. Along with academic excellence, Nikaya is also a prolific dancer and is very passionate about the art form. She has been dancing since the past 7years. She has learnt Bharatnatyam for four years, and learnt jazz and ballet from Dance Works in Gurgaon. Presently she is learning ballet from the Lewis Foundation of Classical ballet, Bangalore. Recently she also performed in “Oz The ballet” show which was held in Ambedkar Bhavan in Bangalore held on December 13, 2015. She is also enthusiastic about adventure sports and activities and enjoys being outdoors and has participated in adventure camps organized by Youreka and INME. She has been to Tirthan and Uroli where she hiked, trekked and camped. Nilaya is interested in biology, chemistry and history and is keen about pursuing a career in medicine in the near future. 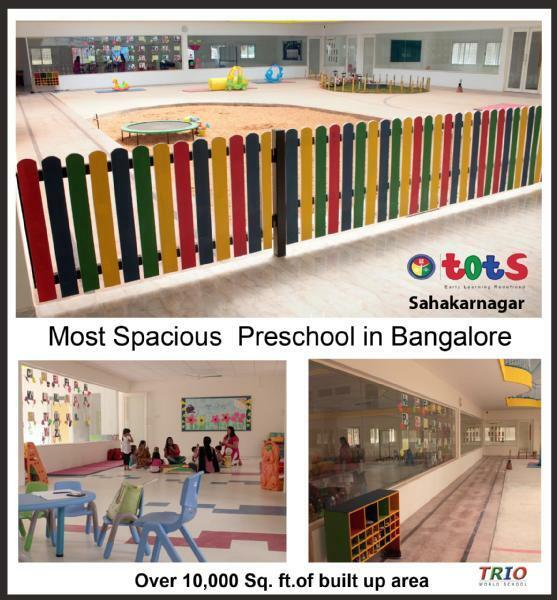 Trio World Academy is a reputed International Day & Boarding School in Bangalore. It aims to provide a broad and stimulating truly international educational experience with very high standards of Cambridge curriculum, International Baccalaureate and ICSE curriculum while believing that school life should be valued for itself and not only as a preparation for adulthood. 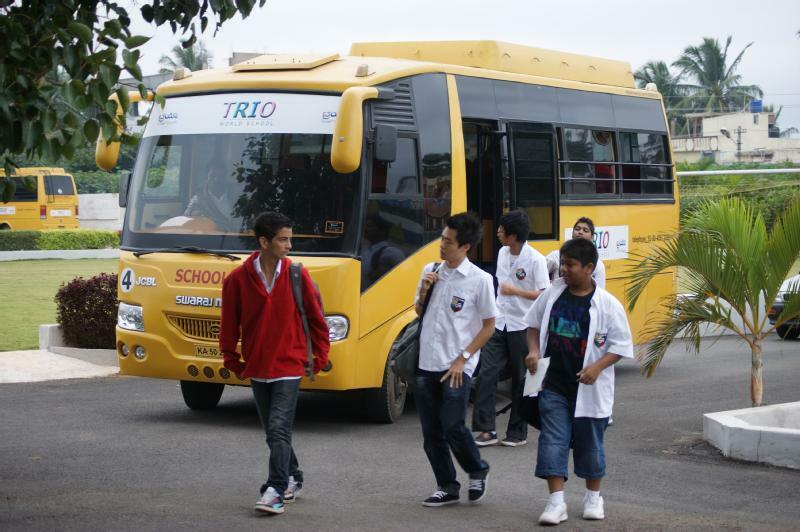 TRIO World Academy is a candidate school* for the Diploma Programme. The heart of the school’s aims is the intellectual, cultural and social development of all pupils in a context of mutual esteem and sensible good order. There is an outstanding musical tradition which leads to a wide range of music making, much of it of very high quality, mainly as an extra-curricular activity. Drama, sport and outdoor pursuits are also very strong. The House system engenders much purposeful activity: inter-House competitions in sport, drama and music and non-competitive ventures such as fund raising for a wide variety of charities. 1.We have been awarded as Asia’s Best & Fastest Growing Private Educational Institutes by World Consulting & Research Corporation (WCRC) at Singapore. 2.Awarded “Most Promising International School in Bangalore” by from Brand Achievers in New Delhi. 3.We have been ranked among Top 20 International School in India by Brainfeed Magazine in 2nd National conference on Teaching, Learning and Leadership in Bangalore in January 2015. 4.Awarded as Best Emerging School in Bangalore by Elets Technomedia (P) Ltd in January 2015, New Delhi. 5.Ranked 9th in India for Academic Reputation by c fore Survey in 2014, New Delhi. 6.Awarded 3rd best International school in Bangalore and 5th in Karnataka in 2014, by Education World Magazine in 2014. 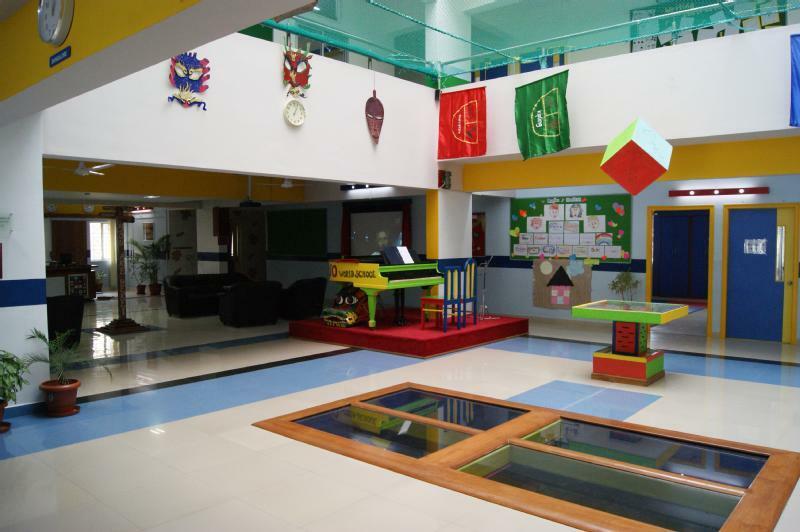 7.Awarded “Best upcoming International School in Bangalore” in 2012 by Big Brand Academy, New Delhi. 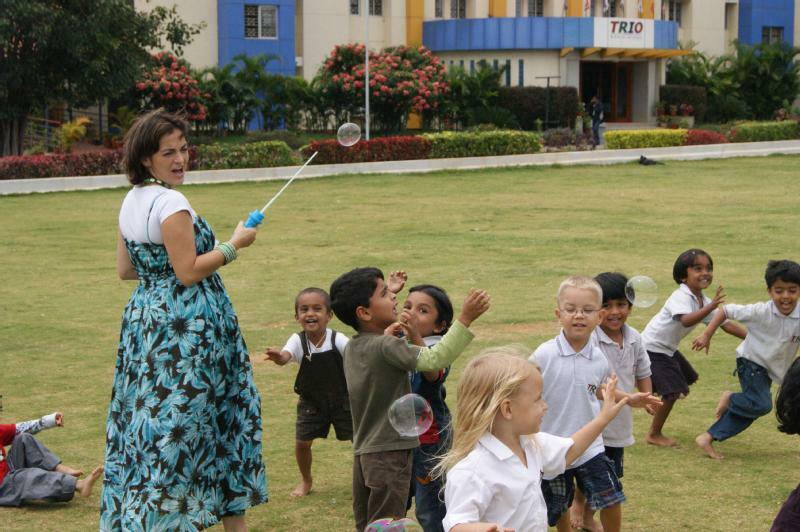 8.Awarded 3 Best International School in Bangalore by Thinkvidya.com survey in 2011. 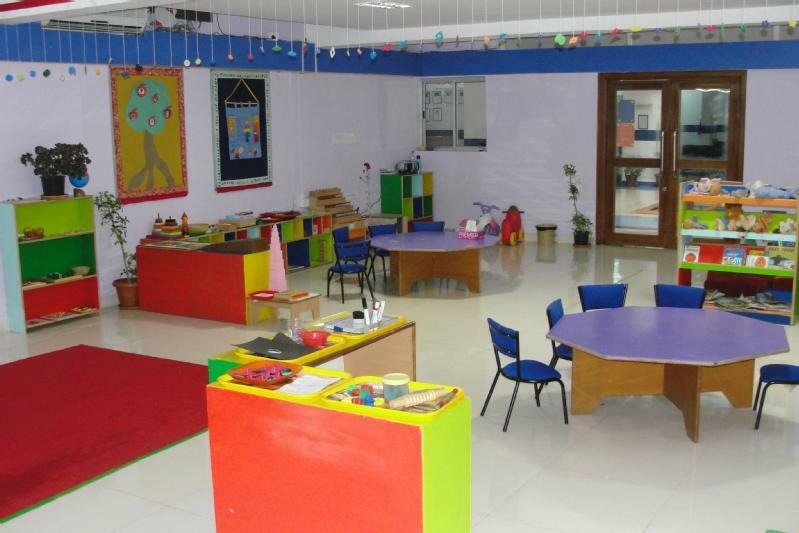 * State of art Academic Blocks, well equipped Science labs,Math Labs, Auditorium, Music room, Dance Studio and Library. * i Pad program (A latest education technology) supported by Apple. * Differential Learning Program, where every learner is provided with opportunities for individual growth and encourages critical thinking and analytical skills. *A well stocked Library with over 22,000 Books, CDs, Journals and digital resources. *Only School in south India to be Academically Audited by Eduvisor. *Very strong Implementation of Child Protection and Complaint Redressal policy. *All Teaching & Non Teaching staffs go through CBV (Criminal Background Verification) Check. * Well equipped Art Room and Music Room with facilities for Indian and Western Music lessons for Keyboard, Violin, Guitar and Drums. *Exclusive Academy for Sports & Extra Curricular activities. Emphasis on Community Services. 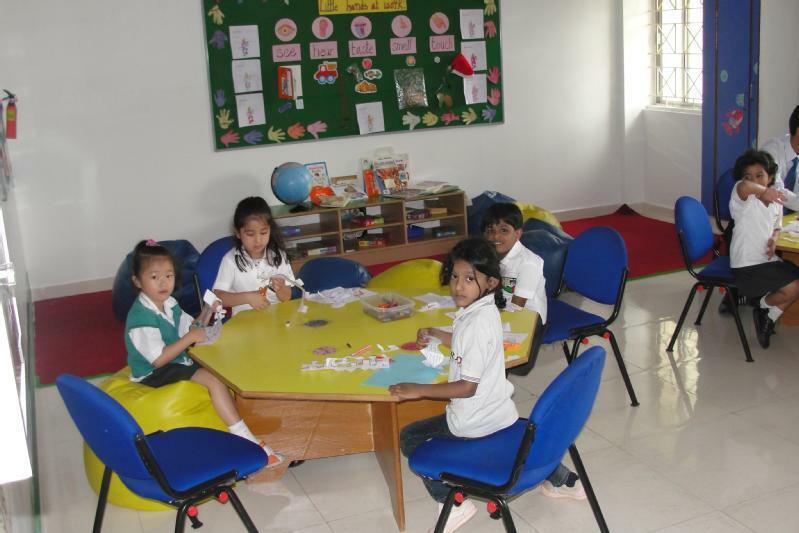 *A well equipped professional and dedicated teaching staff. All teachers attends Professional Development program regularly. *Homely Boarding- We offers Day Boarding, Yearly Boarding and Weekly Boarding Facility for Boys and Girls. *Air Conditioned School Buses fitted with Speed Governor, GPS and seat belts. *Infirmary with a Nurse and Hospital just 100meter away from Campus. *Spacious, vibrant and well ventilated classes. Wi-Fi enabled Campus and Boarding. 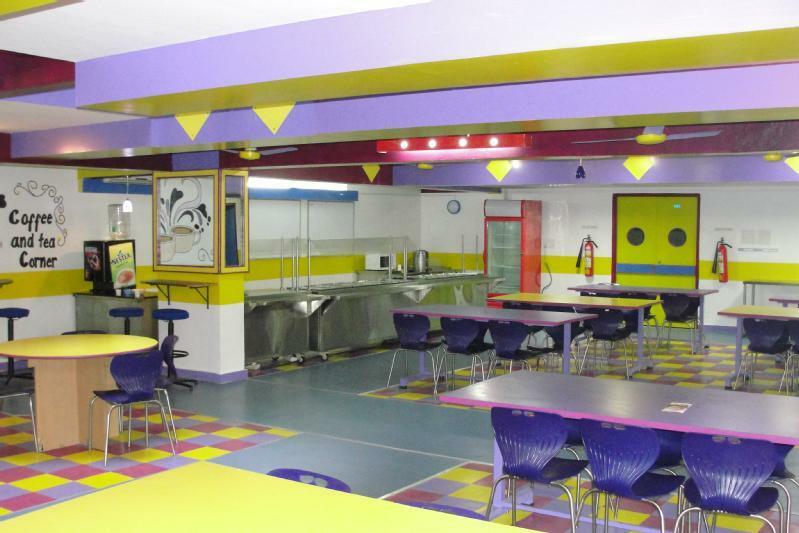 *Modern Dining Hall with In-house Kitchen that serves nutritious Vegetarian and Non Vegetarian Meals. *Sports facilities that includes heated Swimming Pool, Basket ball, Soccer, Lawn Tennis, Volley Ball,Skating Rink and Table Tennis. *Indoor and Outdoor Play area with Sandpit. Extra-curricular activities run monday – thursday after school from 2:30cPm to 3:30 Pm. All clubs are open to every student at the school. The Head of the school desires that all parents support any of the numerous extra-curricular activities at TRIO at least once each term. 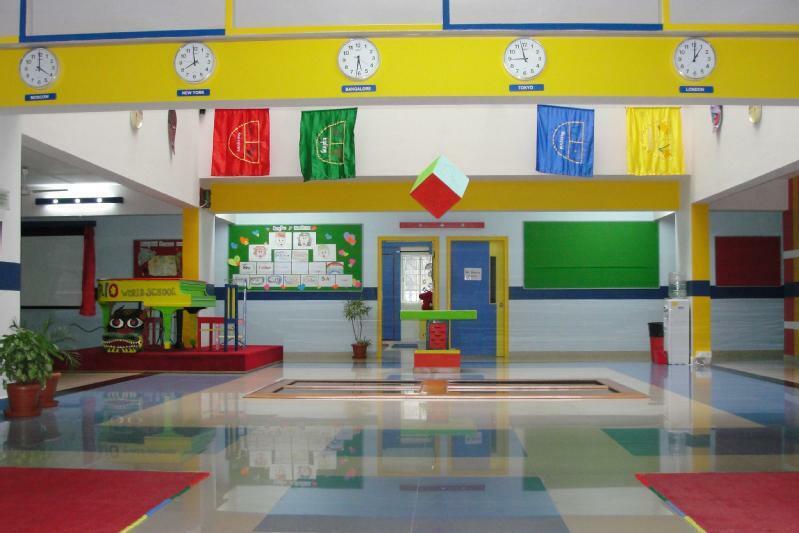 Administration and Academic Building,Science Labs,Math Lab, Music Rooms,Computer Rooms,Art Studio ,Soccer Ground, heated Swimming Pool,Lawn Tennis,Skating Rink Clinic, Cafeteria,Basketball Court, Cricket,Sand Pit and Children’s Play Area. 1.The Admission Application form can be purchased from the school. 2. Admission Application Form, duly filled, must be submitted along with the previous academic year final Report Card. 3. Admissions are subject to seats available in respective grades. Author adminPosted on January 7, 2016 Tags internaitonal school in bangalore, international school in bangalore, school in bangaloreLeave a comment on Trio World Academy is a reputed International Day & Boarding School in Bangalore. How can you be sure an IB school is genuine? In India, we’ve always known the ICSE, the CBSE and state boards in each state, but as a parent, now there is more available too! If you are looking out for schooling options, whether at class I or later on in your child’s progress through school, you have probably heard of the IB and wondered what it’s all about. Given the growing interest in this option, I did my research into the International Baccalaureate; here is what I found, and what you should you know if you are considering an IB school for your child. Globally, the International Baccalaureate (IB) Program is one of the most renowned boards of education, and for good reason. It has been around since 1968 and India is included in the list of countries with the most diploma program exam takers of 2014. It’s diploma are valued by world’s leading universities and multinationals corporations. Based on the author’s own research, this post is supported by TRIO World Academy, a global platform for learning global values imparted through excellent education of highest standard. 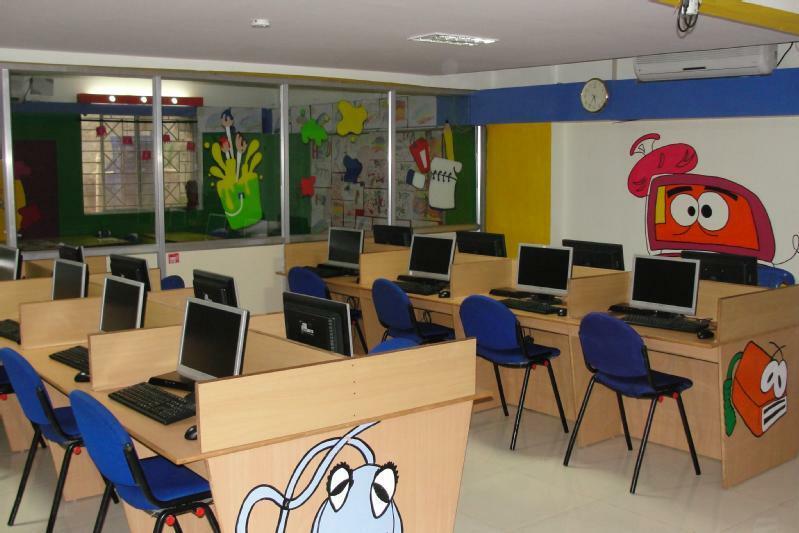 The school educates students from nursery to higher secondary as per Cambridge IGCSE, as, A-Level and IB Curriculum. 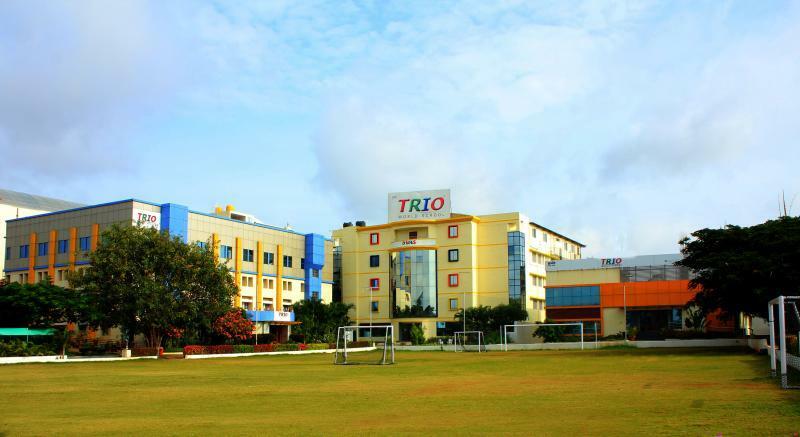 TRIO is ranked among the top 10 International schools in India. The Primary Years Program (PYP) has a specialized framework that will guide and help students achieve their maximum learning capacity. IB schools emphasize on their students personal development with the help of highly qualified and trained teachers and administration, giving children the base they need for the future.Global issues and international views are incorporated within the curriculum, enabling students to be knowledgeable about the world around them from a young age. 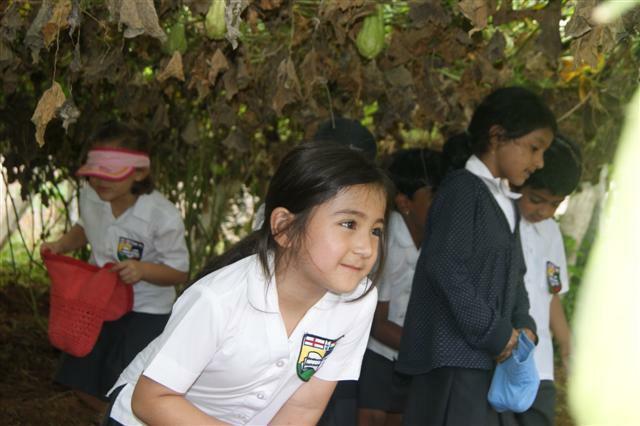 In the final year of the Primary Years Program, students in IB schools are often assessed through a PYP exhibition. This is where students will conduct in-depth studies about real-life problems and showcase their individual skills that have been developed through their years in PYP. 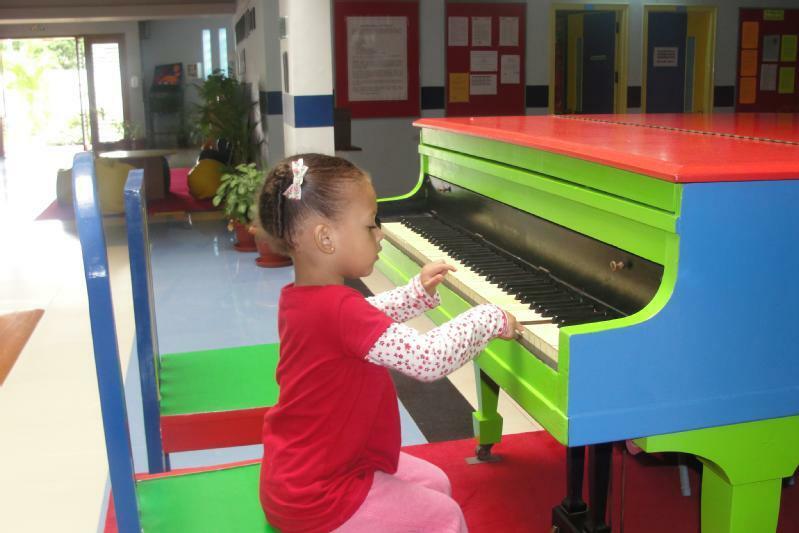 PYP offers students a sound foundation at an early age, helping them tackle the challenges in their coming years. The Middle Years Program (MYP) is a five-year program where students from the ages of 11-16 years will dig deeper into their subjects and connect it with the real world. 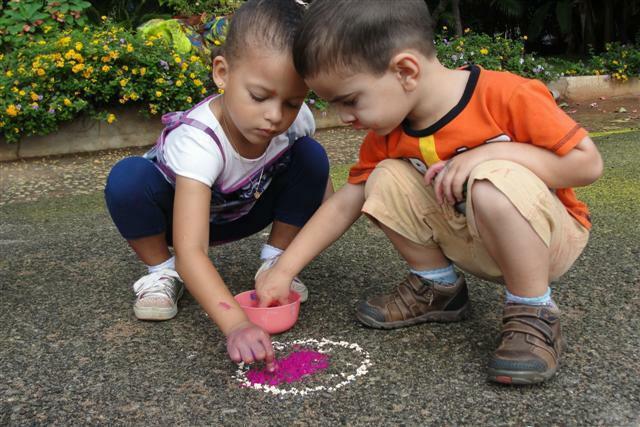 In IB schools, hands-on learning is an aspect that helps children implement the theories they learn in class. If you’re considering enrolling your child into the Diploma Program of IB, it’s a smart decision to start beforehand if you haven’t already at the PYP stage. The Middle Years Program will give your child the motivation to excel. MYP Students also participate in long-term projects aimed towards increasing responsibility, time management and understanding of the subject at hand. These projects also enable students to make their own decisions and will develop their communication skills with their teachers and fellow classmates. The Diploma Program of the International Baccalaureate is one of the most offered IB programs around the world. It’s popularity has a definite reason, as students of the Diploma Program have an understanding of the world at large and are trained to look at real-life issues through various perspectives, as they were taught in class. The core of the IB curriculum model consists of Theory of Knowledge (TOK- an oral presentation and a 1,600-word essay), The Extended Essay (4,000 words) and Creativity, Activity, Service (CAS- students take part in various activities that relate to creativity and action). The Diploma Program assesses students based on their internal (during the year) and external (exams and essays) performance. The ability to retain knowledge and apply the theories that the students have learned are part of the basic skills that are evaluated. The Diploma Program is at a much higher level than most curriculums worldwide and is definitely aimed towards those students who are willing to spend time and work hard towards their goals. Is the IB Program right for your child? Well, there is no one right approach that suits every child. It makes sense to choose a curriculum/board that is in line with your child’s learning style. The IB program includes a strong mathematical and science-focused syllabus that requires critical thinking and evaluation of concepts. If your child is a strong writer, the IB program will offer many opportunities for writing and expressing, much more than those of normal government boards as there are many personal projects that involve essays in IB. The International Baccalaureate Program is an inquiry-based approach, where students have to ask questions constantly, in order for better understanding and analysis. IB students are also required to communicate, take initiative and speak out when needed. There is a sense of individuality and independence in this program, where students must work by themselves but can take their supervisors help when required. The IB program is quite intense, as students are in a demanding environment where they must organize and take decisions on projects, choosing their own topics at times as well. If your child likes having options and leeway for their own interpretation, they will do well in IB. Is the IB program accepted by Indian colleges/universities? This is a worry that many parents have, but the IB is no longer a stranger to India! The Association of Indian Universities (AIU) has declared IB as an equivalent to standard boards in India such as ICSE, CBSE and various counterparts. Hence, parents do not need to worry about acceptance into colleges. A student can write and medical or engineering competitive examinations. How does IB differ from CBSE or ICSE? The IB program focuses more on application of the theory learned in class. It is observed that boards in India allow memorized answers, however, in IB, a more in-depth analysis is required in order to get good marks. Questions in IB offer more leeway with individual perspective, whereas subjects in CBSE, ICSE, etc. usually, do not. In IB, there aren’t any prescribed textbooks, while CBSE, ICSE, etc. have rigorously specific books from which the teachers explain concepts from. IB offers more freedom with learning in this aspect. Schools have the liberty to choose books relevant to subjects. IB is considerably more difficult than CBSE, ICSE, etc. due to the level of thinking required, but IB offers different levels of subject (standard level, high level) so students can choose as per their capacity.However, all curriculums have their weak points and plus points and it is important that you note your child’s learning style down before choosing a board for them. Each school that offers one/all of the IB programs must be recognized by the International Baccalaureate Organization (IBO) in order to be called an IB School. The standards for teachers are also set high as there are workshops held by the IBO for prospective and experienced IB teachers. It’s mandatory for IB teachers to attend Professional development workshops organized by IB. Author adminPosted on December 17, 2015 December 18, 2015 Tags internaitonal school in bangalore, school in bangalore, triow world academyLeave a comment on How can you be sure an IB school is genuine?